This is the second post from my father-in-law’s birthday dinner. I enjoyed this dish even more than the steak. Following the recipe will yield just over a cup of the roast poblano mayo, only half of which is required for the potato salad. Once you taste it, you’ll realize this is great news for the next few sandwiches you make. You could make this vegetarian by garnishing with something other than crispy bacon, but I sure wouldn’t recommend it. Prepare the poblano mayo (which can be done in advance). Toss the poblanos and garlic in some canola oil, then roast in a 375 degree oven for about 20 minutes. Cool. Peel the garlic and place in a blender jar. Peel the poblanos, remove stems and seeds, roughly chop, and add half to blender jar. (Set other half of roughly chopped poblanos aside.) Add the egg yolk, vinegar, and ½ tsp salt to the blender jar. Blend until very smooth. Leave blender running and slowly add olive oil. Scrape mayo into a small container, cover, and refrigerate. 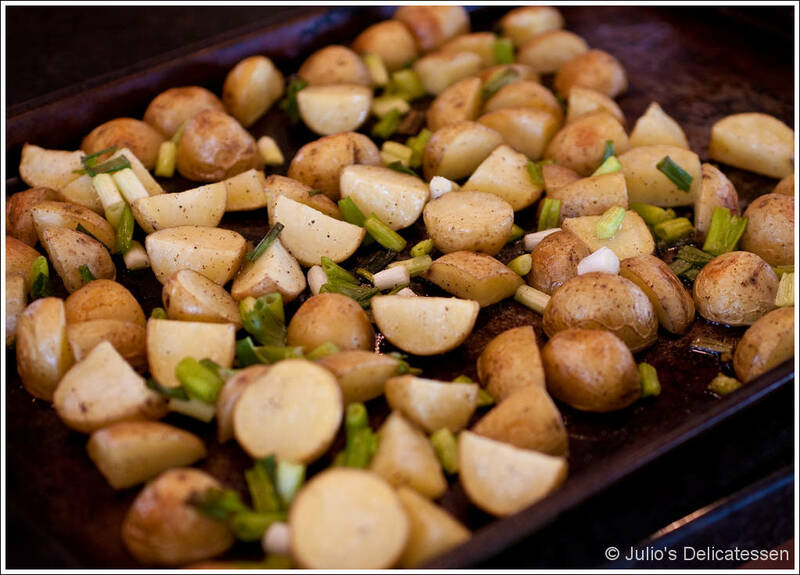 The day you plan to eat, roast the potatoes and green onions. 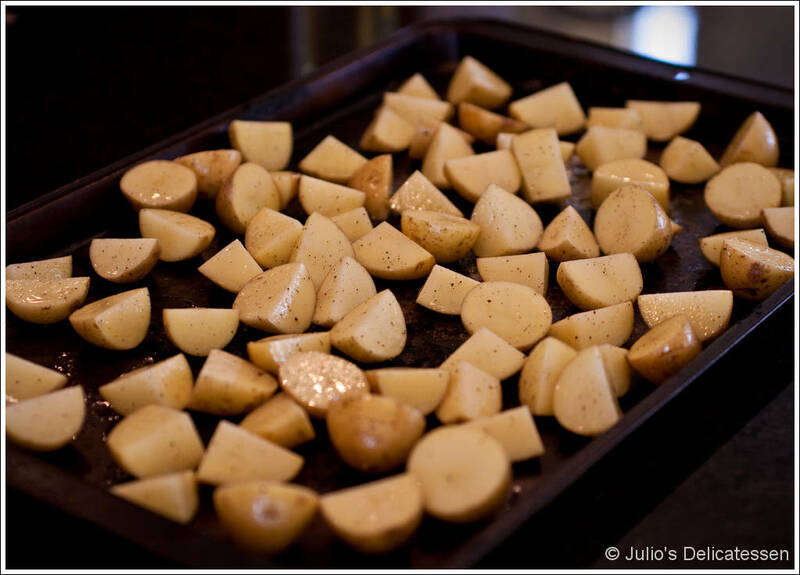 Toss the potatoes with some canola oil, salt, and pepper, and roast in a 375 degree oven for 10 minutes. 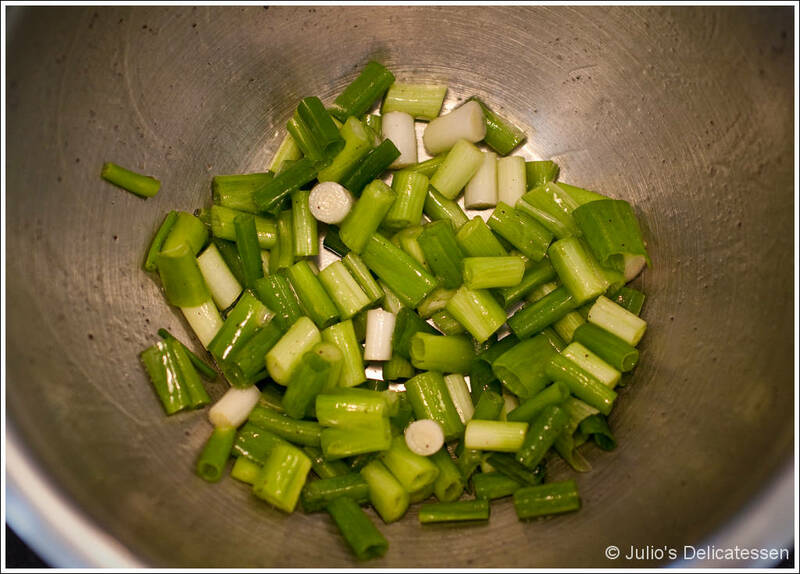 While doing so, remove the roots and outer layers from the green onions. Cut into ½ inch pieces and toss with a small amount of canola oil. 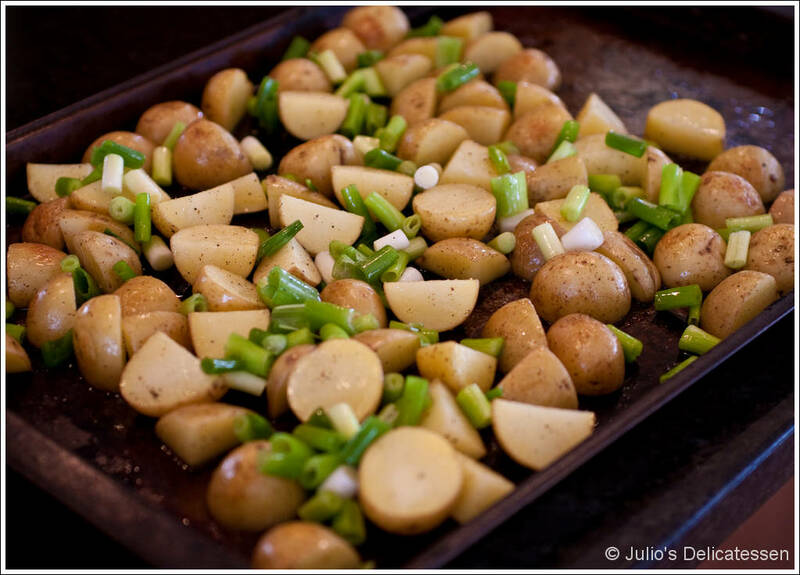 After the potatoes have cooked for 10 minutes, add the green onions to the baking sheet. Cook another 20 minutes. Remove from the oven and allow to cool. Once the potatoes and onions are cool, assemble the dish. Add the potatoes and onions, reserved poblano, and ½ cup of the mayo to a large bowl. Stir to combine. Add the parsley and stir again. 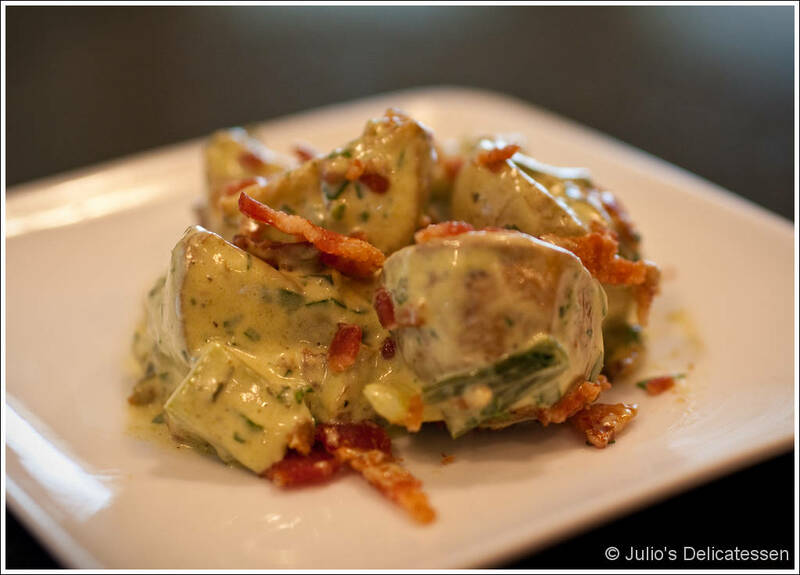 Garnish with crumbled bacon and serve immediately.